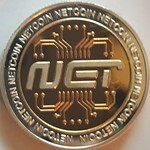 What's the recent news with netcoin? What is the recent news with ? Anyways, I was thinking maybe I could write a little about recent news. and/or the recent increase in price? But what else might have caused the price to go up? Or what are the incentives for people to accumulate , now that is a pos coin? but am not worried if you don't want me to do that. I am easy going. Sometimes I just write without asking, other times I ask, like this time. sometimes for free, but if someone wants to pay me, I'd like that too. BigJ answered me in the shoutbox. the price jump of over 100%. Thanks for taking part again." but I will try to get those links working. does anyone know why the links are not working? Hello, great work! Ok, so I figured out what's going on with your links. You have www. and we are not a www. Replace them links with this forum.netcoinfoundation.org and netcoinfoundation.org/ and you should be all set. Thanks for your support! Edit: ooops, you can't see it. " http:/ / "
You know what, just copy it and paste it from the address bar of your browser.